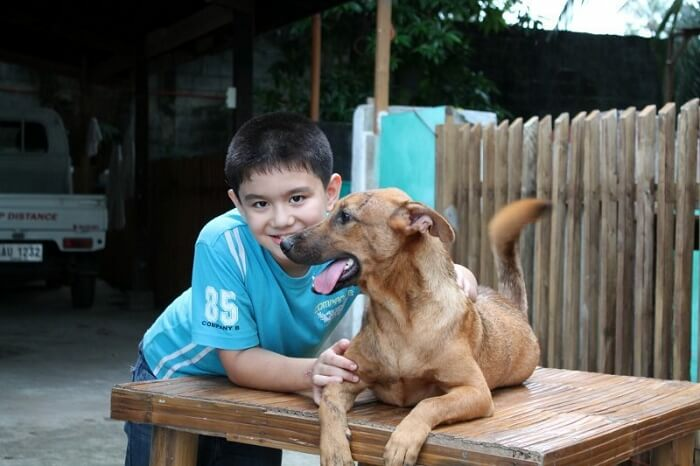 Ken lives in the Philipines and is 10 years old. 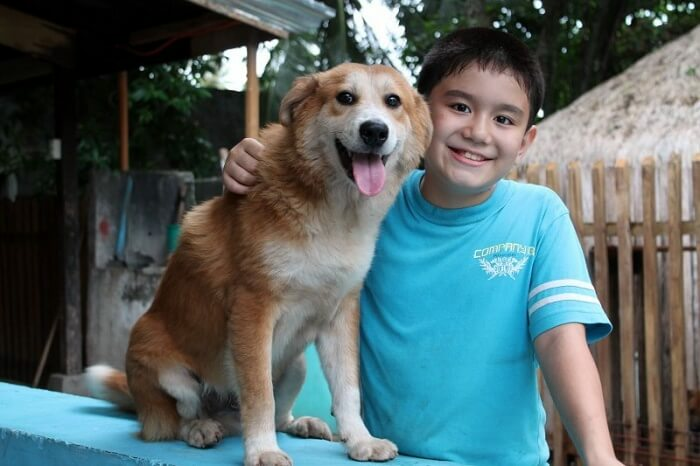 He is something like a local celebrity because he founded his own animal shelter when he was just 8. The "Happy Animals Club." 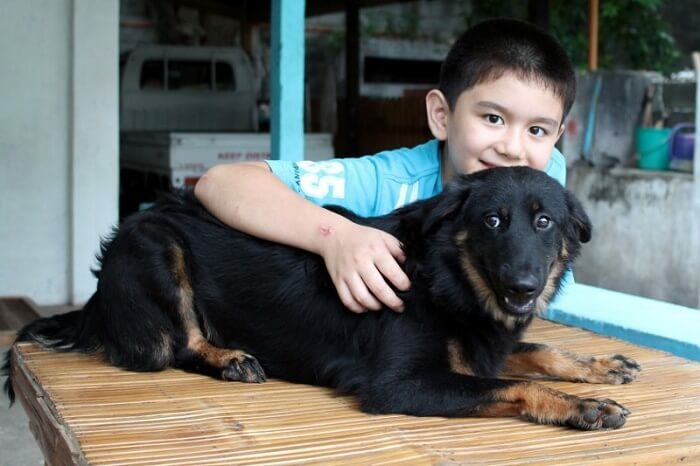 Since then, Ken has adopted dozens of animals into the "Happy Animal Club" and people are supporting him from all over the world. 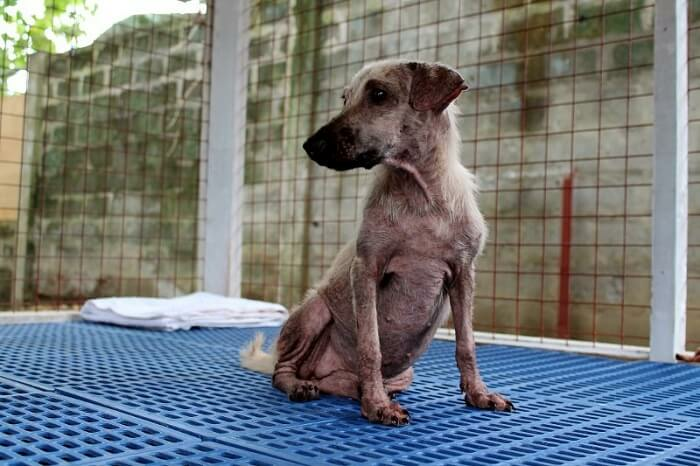 Most of the dogs that come to the Club are half starved, exhausted, and terrified. Ken has to nurse them back to health. One good example for such a dog is Hyena. Apart from her completely destitute health, she is completely frightened. 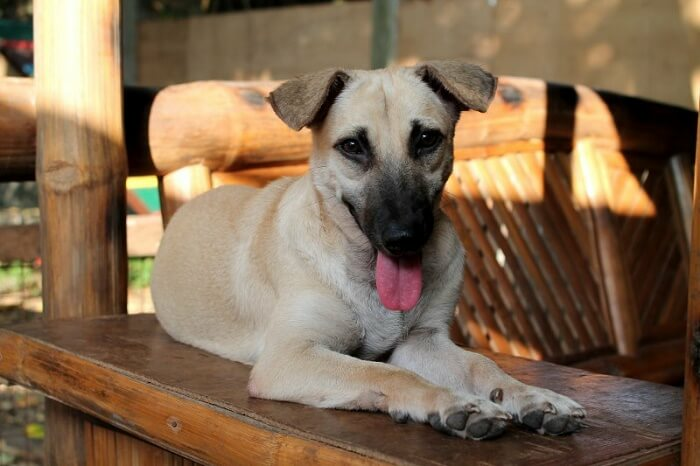 But after receiving some loving care from Ken, Hyena now looks like this and can be adopted immediately. She's become such a beauty. 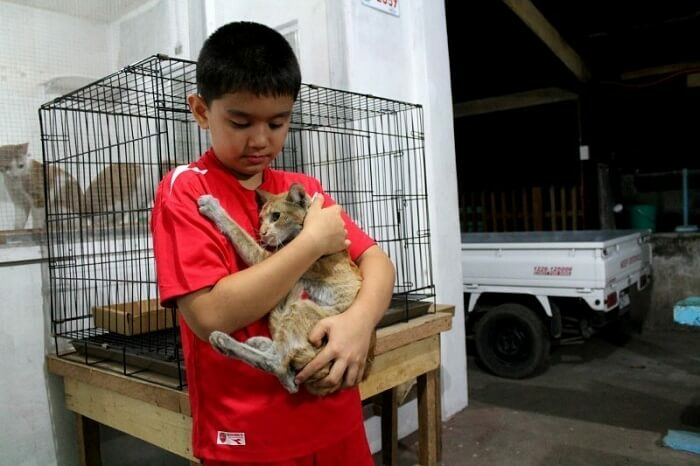 But Ken doesn't just rescue dogs, but cats as well. One of these cats is Ceiling, a loving, little creature. But the cat landed in the "Happy Animal Clubs" dirty, hungry, and covered in fleas. 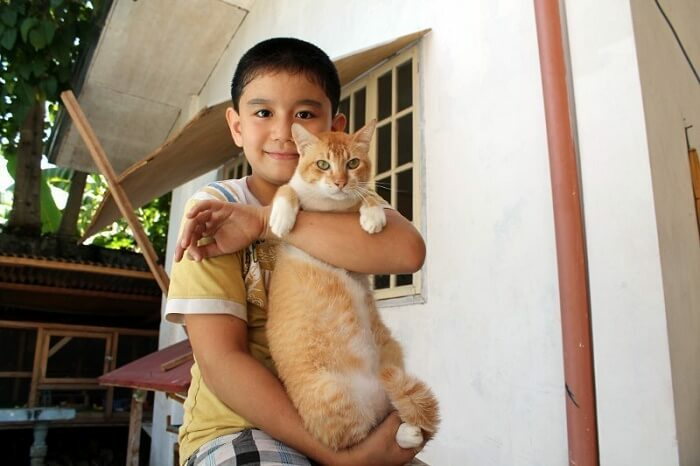 But Ken cleaned the little guy up, fed him, and nursed him back to a sprightly and loving cat. 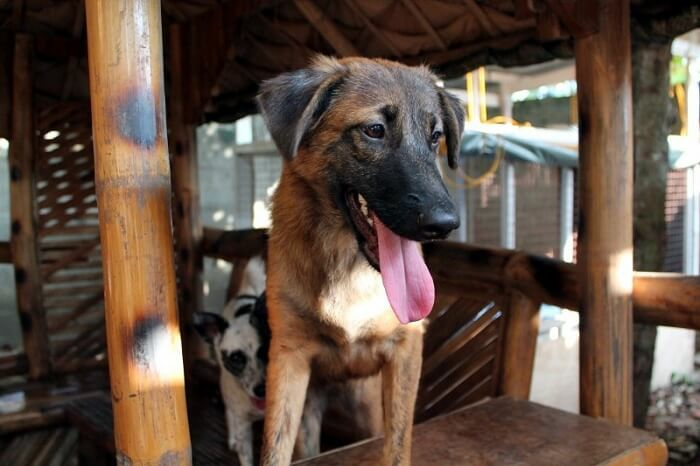 But the most unbelievable "guests" are these 6 puppies that Ken picked up off the streets in December 2014. 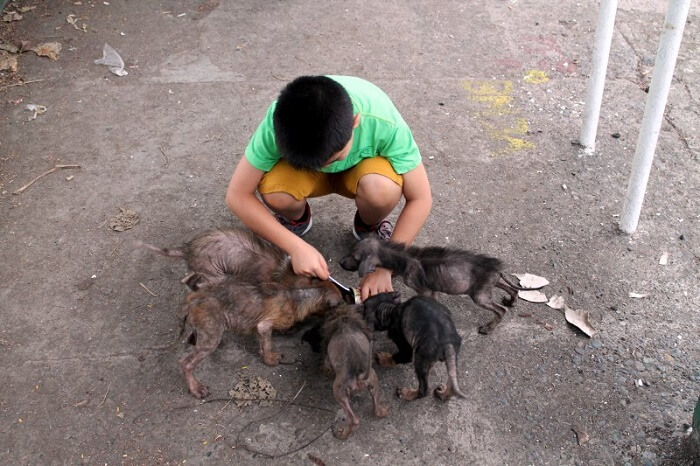 The 6 were in such a terrible condition, that they didn't look like dogs anymore but rather like big rats. 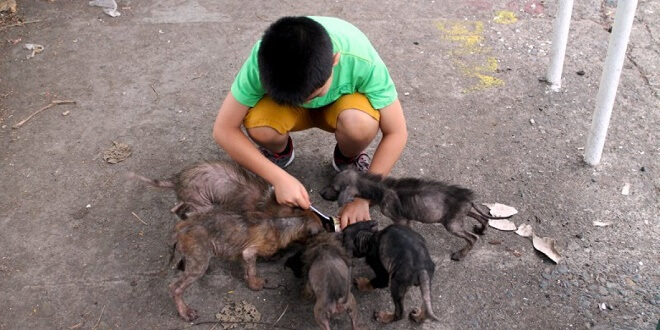 Nevertheless, he adopted them and treated them with medication and fed them for no one wanted to care for these sweet furry-nosed critters. Because they all turned out to be clever little rambunctious boys, Ken named them after 6 famous scientists. Bohr, named after Niels Bohr, an exctable young gentleman. Einstein, who sticks his tongue out just like his namesake. 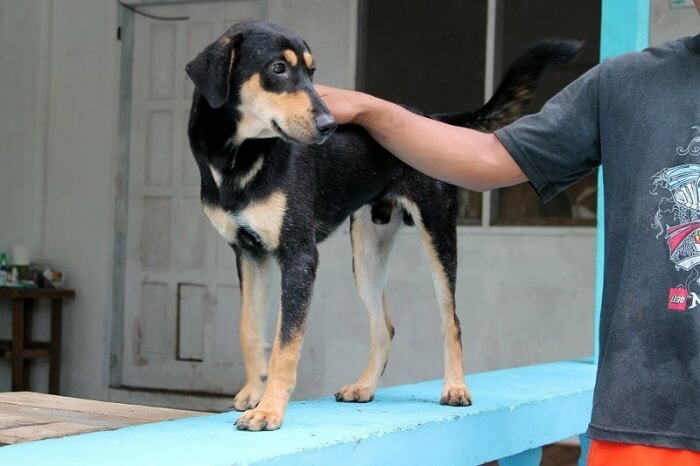 Newton, the sweet one with shimmering soft fur who has a calm and loving soul. Pascal, the casanova. He is indeed the smallest of the pack, but he makes up for it with his sugar-sweet manner. The happy Planck, who turned out to actually be a girl. But she got to keep the name. Tesla, the most clever. He managed to single-handedly break out of the "most secure" pen. So he needs tons of activities to keep him occupied! 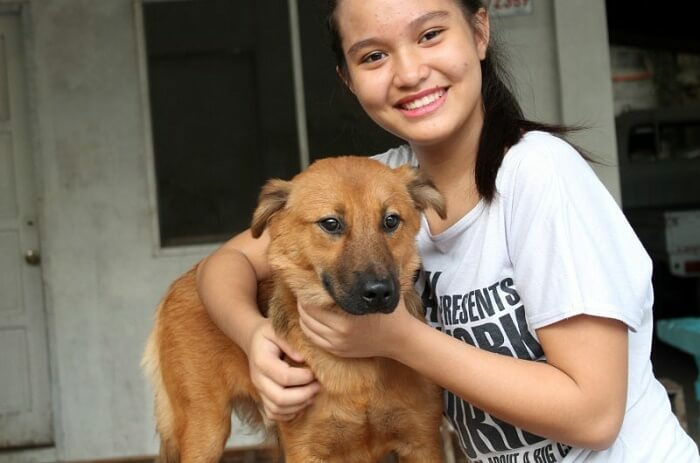 Since Ken does such good work with his shelter, thousands of people support him from all over the world in his fight to give animals a better home and rescue them from the streets. 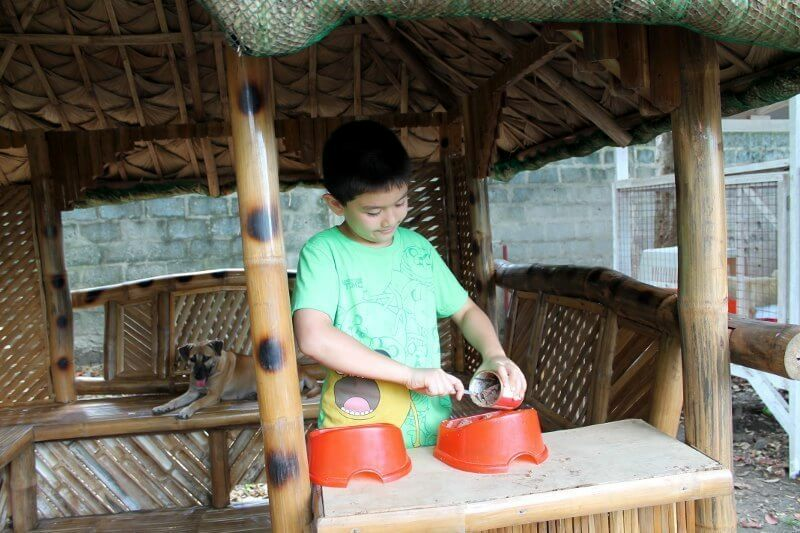 40 animals live in the Happy Animals Club and many volunteers help Ken to take care of the cute little critters. When this 10-year-old's impressive feat also astonished you, then share this article with everyone you know. The "Happy Animals Club" can only continue with your support.